A commercial site with contaminated soil and groundwater was assessed and monitored. The Destiny site consists of approximately 152 acres located at the southeast end of Onondaga Lake in Syracuse, NY. It is one of the largest brownfield cleanup sites in the state. JMT provided environmental services that included assessment of environmental samples, evaluation of potential risks associated with site development, engineering review of remedial alternatives, and design of a vapor mitigation system. 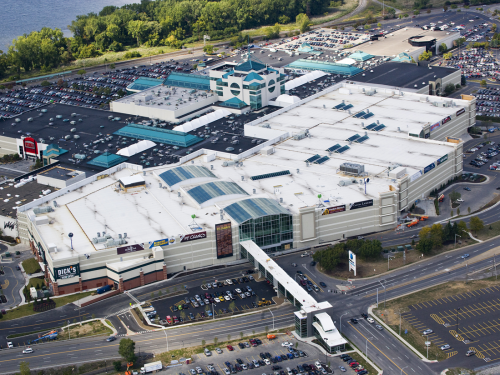 Due to the relative size and nature of the site, investigation and redevelopment advanced by a phased approach, with Phase I (mall expansion—an 800,000+ SF building expansion of the existing Carousel Center) initiated mid-2007. In 2017, an Embassy Suites Hotel was completed on another section of the property. 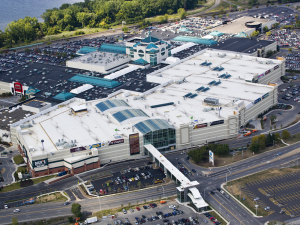 Soil and groundwater contamination exists at the site because of the historic industrial operations as well as the subsequent grading of soils during the construction of the Carousel Center. Past sources of contamination included the former Marley scrap yard, multiple oil storage facilities, including Amerada Hess, Buckeye petroleum storage and pipeline facility, Mobil Oil Corp, Sun Oil Company, Atlantic Refining, Citgo Petroleum, and Alaskan Oil, the Clark Concrete Company, and Solvay waste in various locations. Contaminants in soils and groundwater across the site include; metals, volatile organic compounds, semi-volatile organic compounds, polychlorinated biphenyls, and solvay wastes (elevated pH levels) at concentrations exceeding the regulatory standards. JMT performed a comprehensive environmental assessment and remediation of the site, including construction oversight during soil excavation. The Phase I site remedy entailed excavation of 88,000 cu. yds. of soils, installation of a vapor barrier, a vapor control system, and concrete cap. JMT reviewed historical discharge reports and prepared the foundation-well SPDES permit. JMT conducted compliance evaluations for stormwater management improvements, including lined detention ponds and drainage features for soil stockpile runoff. JMT also conducted field monitoring for underground utility construction in potentially contaminated areas.